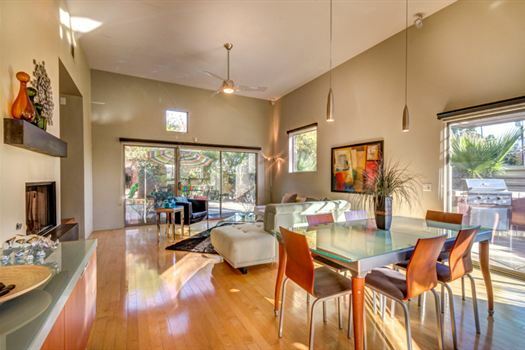 Located on a quiet corner lot in Central/South Palm Springs (Warm Sands area), this fantastic modern home (constructed in 2001) combines all of the modern conveniences that one could hope for with the mid-century architectural character that Palm Springs has become famous for. 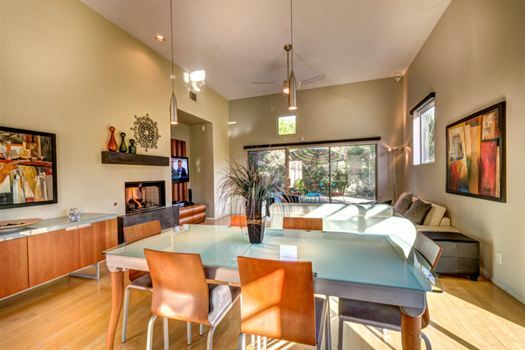 The home features an open floor plan with large windows that lead to a private garden, an outdoor dining area, built-in outdoor BBQ and a fantastic private pool/SPA. 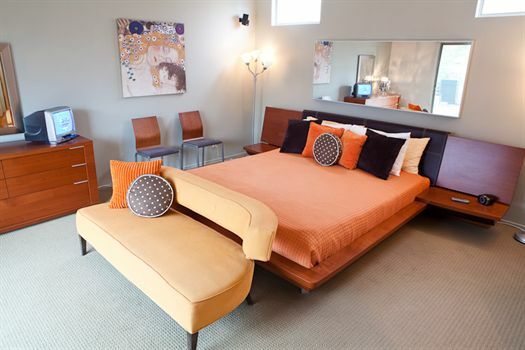 The spacious master suite features a Tempurpedic king size bed. The private (compound-like) home features a wonderful South-West exposure for year-round sun, unobstructed views of the San Jacinto Mountains, modern – yet comfortable – décor, indoor dining area for six, high-end kitchen appliances, 500 thread count sheets, combination TV/DVD players in all bedrooms with a 42 inch plasma TV in the living room, an iPod speaker system... too many special touches to mention. No smoking inside; renter must be 25 or over, authorized pets only. Parking for 3 cars ONLY (1 per bedroom) 3 is maximum permitted cars to park on property or near property. The city will be patrolling and counting cars. The home is located about two miles from the international airport, but is not on the flight path so there are never planes overhead. 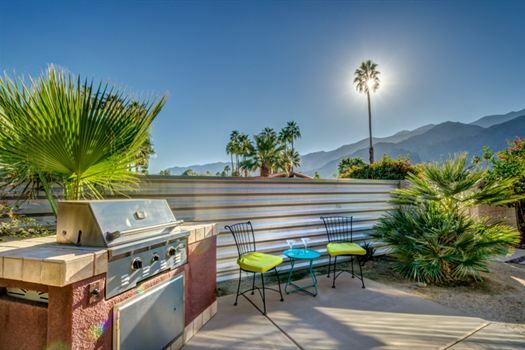 Downtown Palm Springs is also only a mile away. 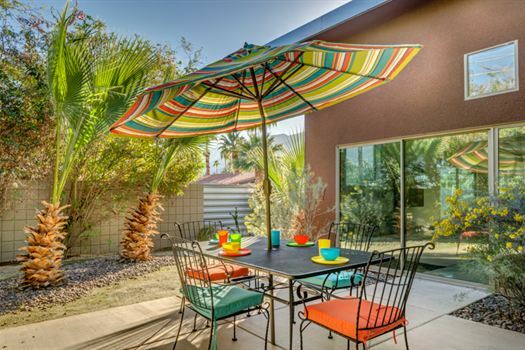 The home is close to several shopping areas, grocery stores, restaurants, and easy access to golfing and all desert cities. 10 totally carefree days! Eva (our host) was welcoming and explained how all the tech gadgets work. There was also a booklet that was helpful. Plenty of pool towels as well as sheets. We will return. We enjoyed our stay! So relaxing and just what we needed. 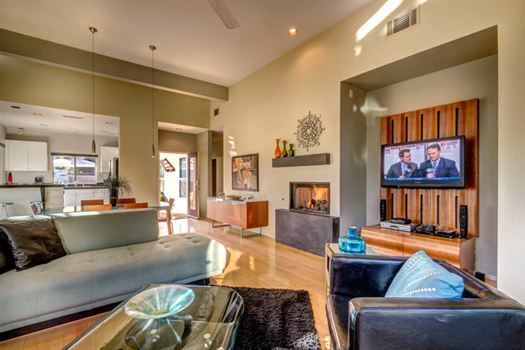 Great location too! 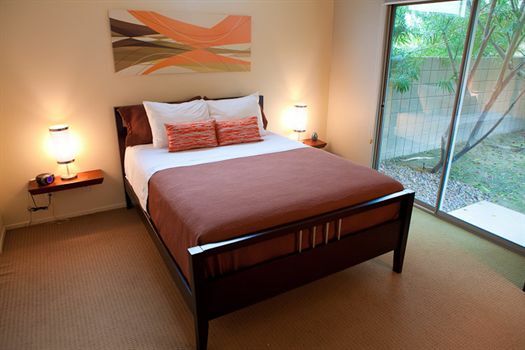 We stayed for the month of January at this lovely property and really enjoyed it . 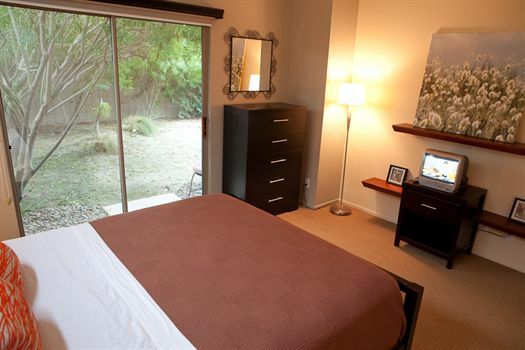 We have been to Palm Springs several times and enjoy staying close to downtown Palm Springs. This location was perfect as we could walk downtown, Ralph's grocery store was at the end of the block as well as a great bakery and a great Italian restaurant "Marios". We enjoyed the Tahquitz walking trail along the Mesquite golf course and the River walk as well. The Primrose house was very comfortable, spacious and any minor issues we had Chris at Oasis dealt with very quickly and efficiently. 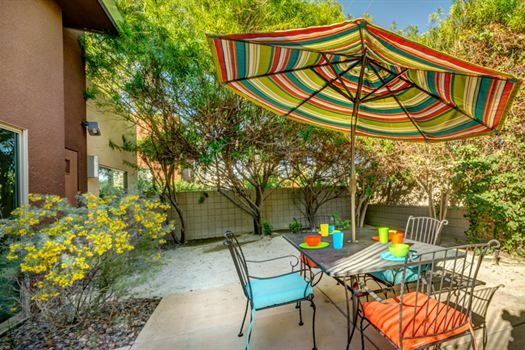 I was very impressed with the services of Oasis rentals and would use them again. I would definitely stay at this property again. Our family spent a week at the Primrose property and we were very happy with our stay. Other than an issue with the wireless internet when we first got there our stay was uneventful, which is good. 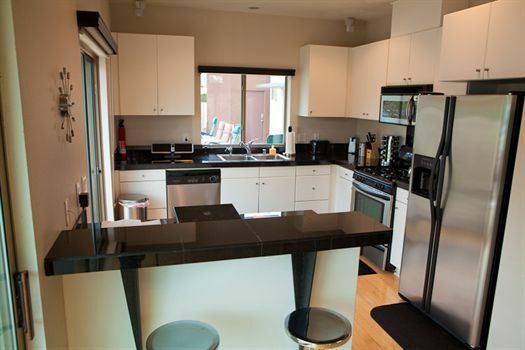 The property was spotless clean and had everything one would need. 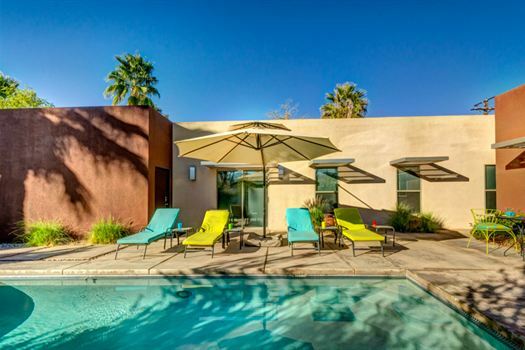 The private pool and spa were a favorite with the family and the location is perfect, about 15min walk to downtown palm springs. I would recommend this home for a family that needs more room. 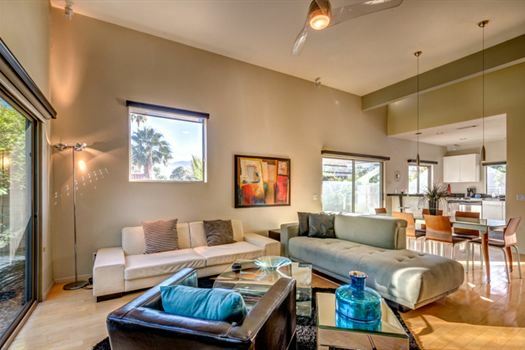 This property is gorgeous and perfectly located in Palm Springs. 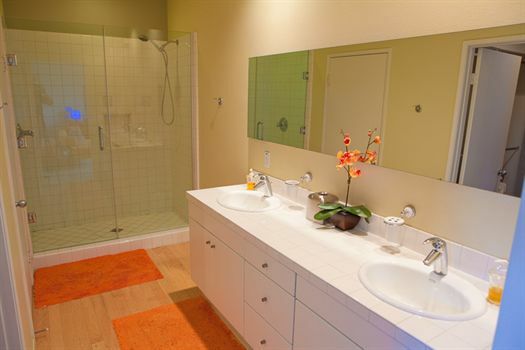 It had all the amenities that one could need and felt like a home away from home. Our extended family had a wonderful time at the Primrose House. The layout of the house was perfect for us. Other than a lack of shade at the pool area, the pool and spa were delightful and enjoyed everyday. 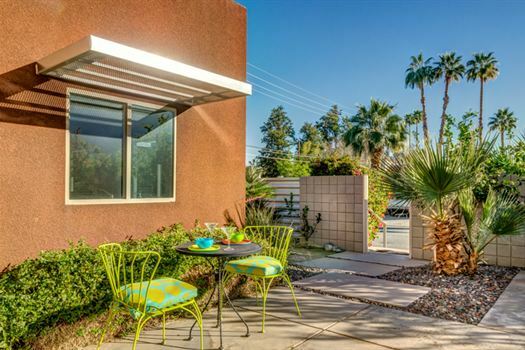 Location in the Warm Sands area is perfect as it is very central to all of the Palm Springs area. We will definitely return. We had a short stay here but we thoroughly enjoyed it. 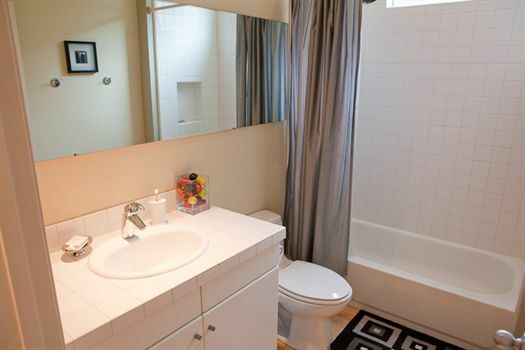 The house was very comfortable and was equipped with all the usual household amenities. The neighborhood was very quiet which made sleeping a pleasure. Our kids loved the pool and were in it everyday first thing in the morning. We will definitely plan a visit here again in the future. We really loved this home and location - the weather was perfect, so we could have all the doors open and easily flow from the inside to the outside. 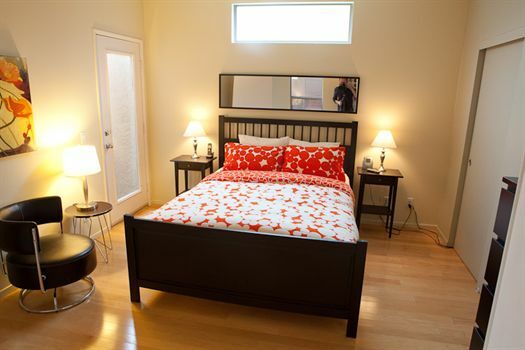 We found this home to be a wonderful spot for 2 adults, 4 children and a puppy. Easy walk to CVS and Ralph's & short bike ride to downtown. Prior reviews were correct, the wireless internet was very slow and spotty - although, plugging into the wall worked perfectly. The hot tub had some issues and we weren't able to use it during our entire stay. 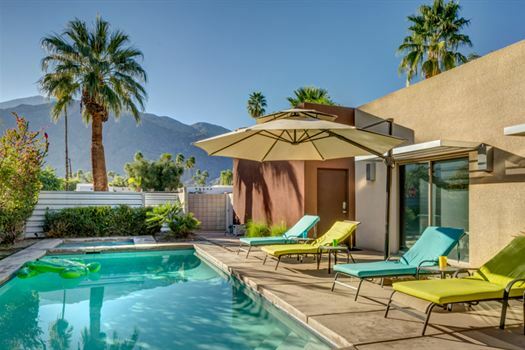 All that being said, we would consider staying in this home again on another visit to Palm Springs.